Happy Friday everyone! We have finally made it to the weekend and I am ready for some gorgeous Spring like weather. 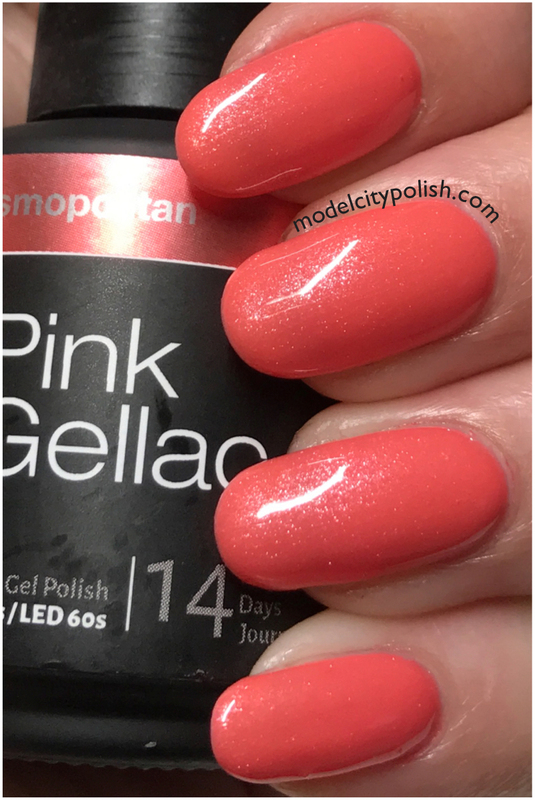 To help get things in the Spring mood, I wanted to share a stunning new collection from Pink Gellac. 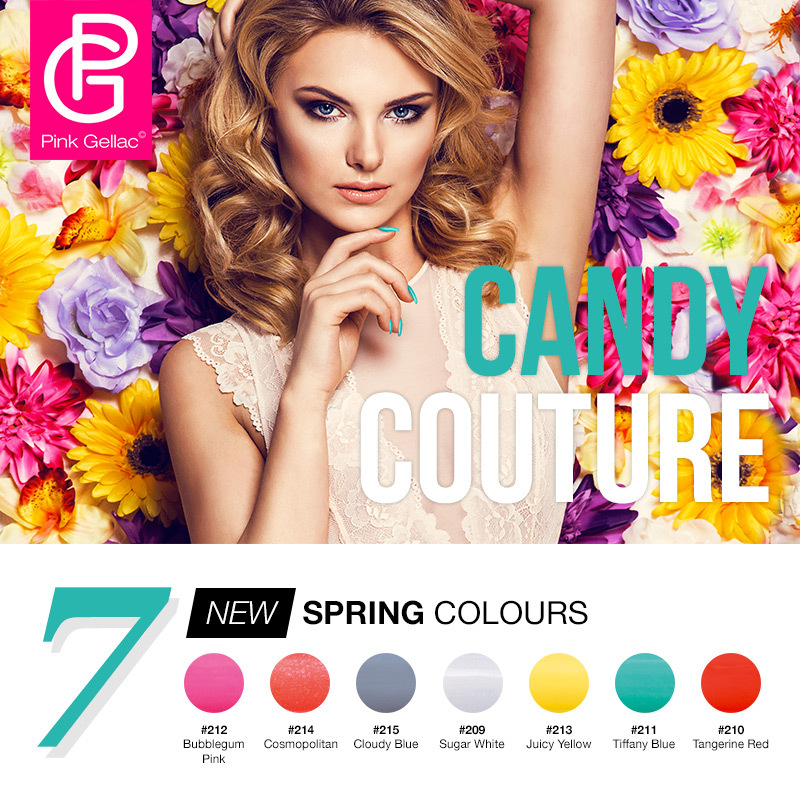 Today Pink Gellac has released their new Candy Couture Collection which consists of 7 great shades that are just perfect for Spring. 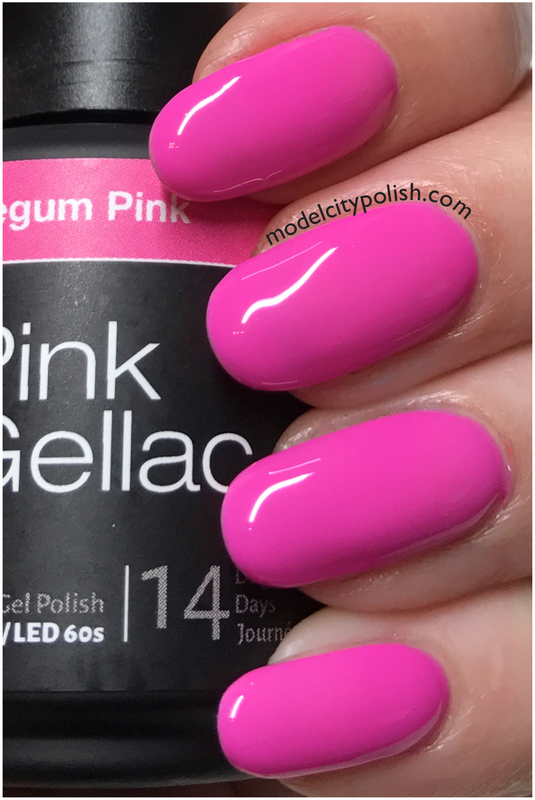 I am beyond thrilled to have some great Spring colors in Pink Gellac’s amazing gel formula!!!! Today’s post is going to be pretty picture heavy so let’s dive on in. First up we have Sugar White. 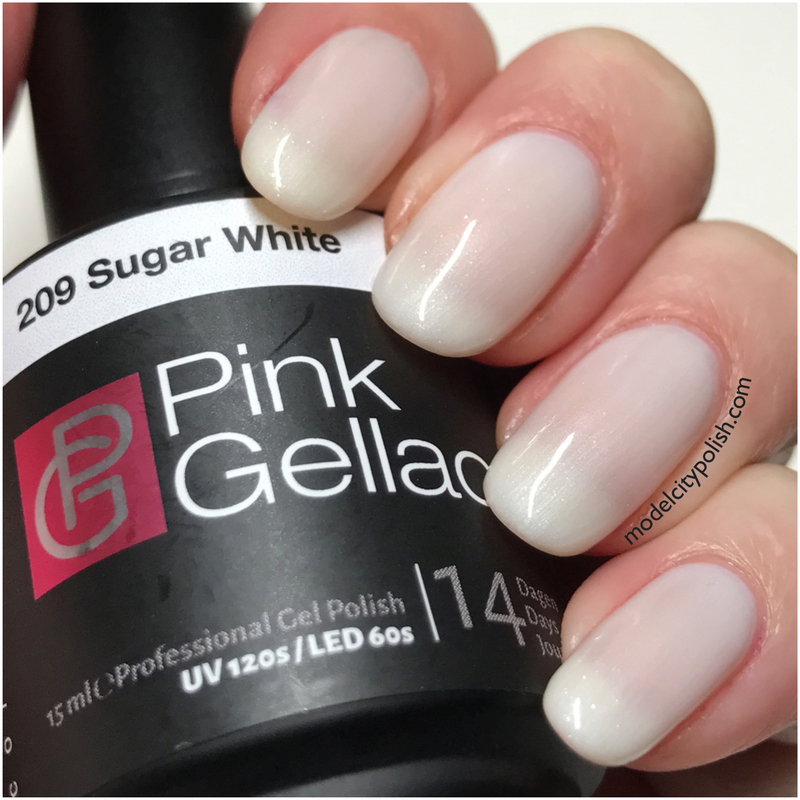 This is a lovely shimmer white shade that would make for a great french mani look or layered on its own. 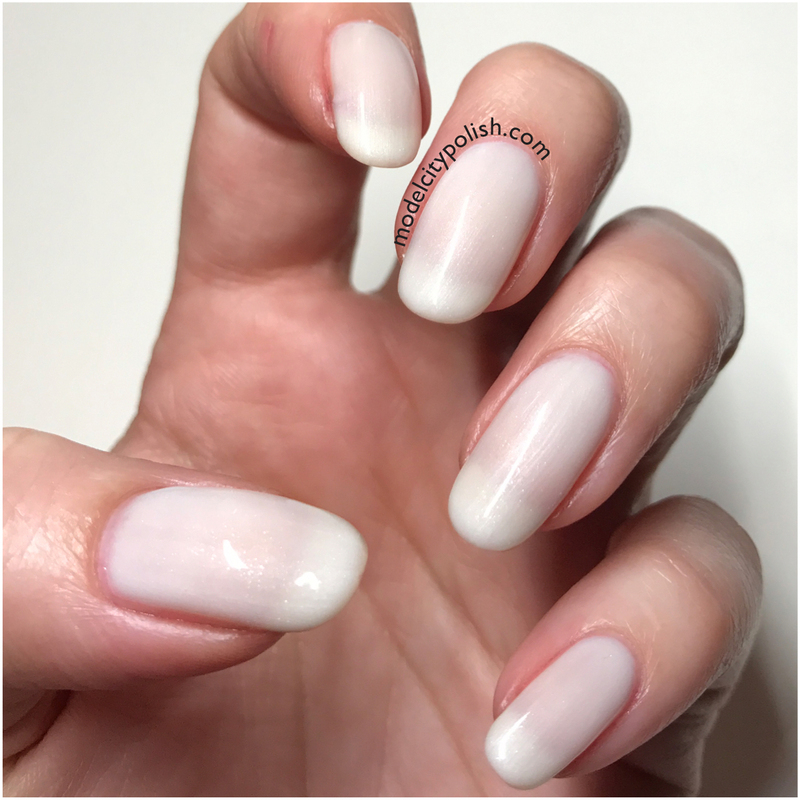 It is a bit sheer so you will need multiple coats, but no worries there because of the quick cure time of gels. 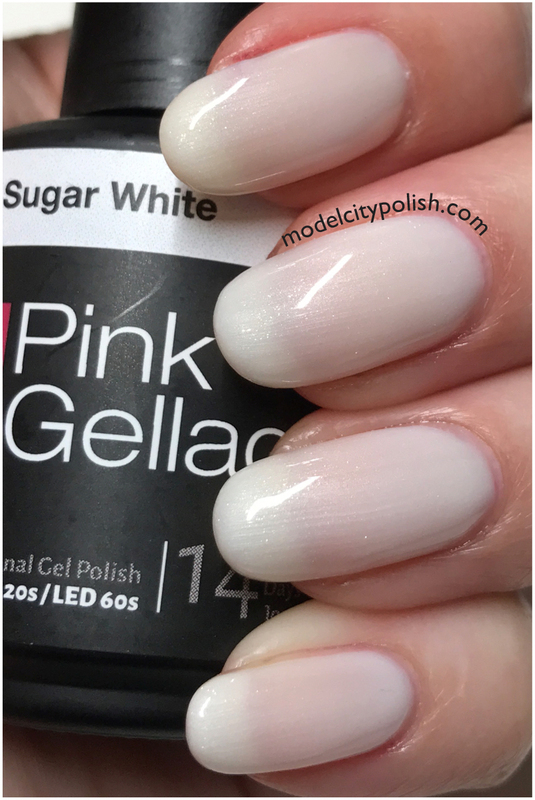 In my photos I am wearing three coats of Sugar White and one coat of Ultra Shine Top Coat. 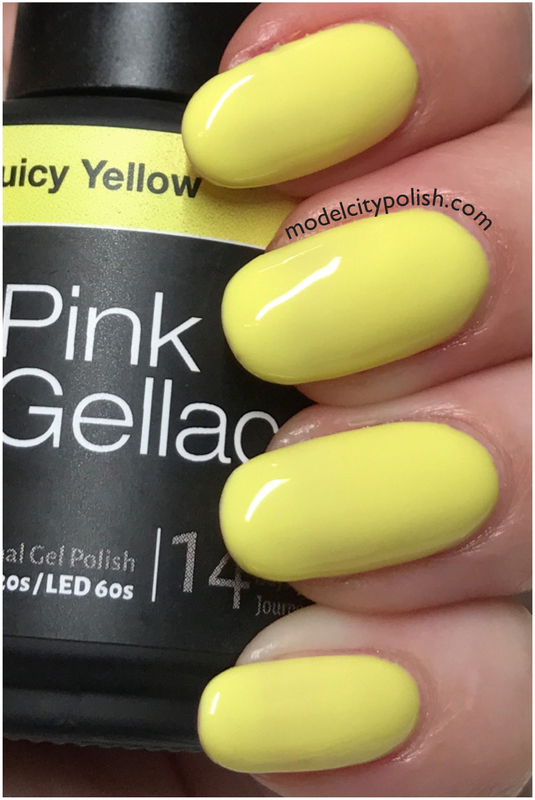 Next up we have Juicy Yellow. 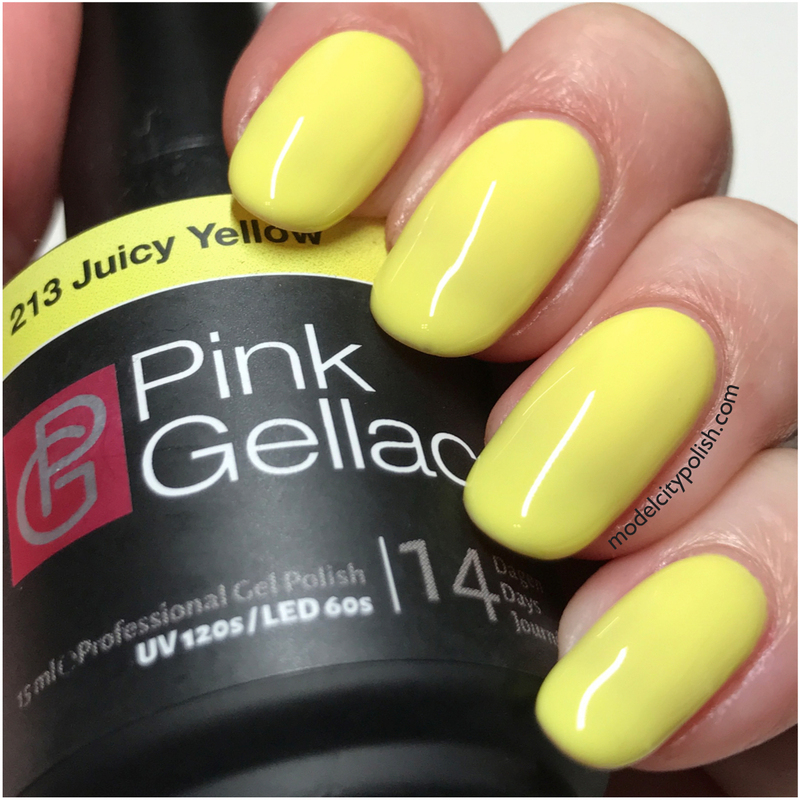 This shade totally has me thinking of Peeps! 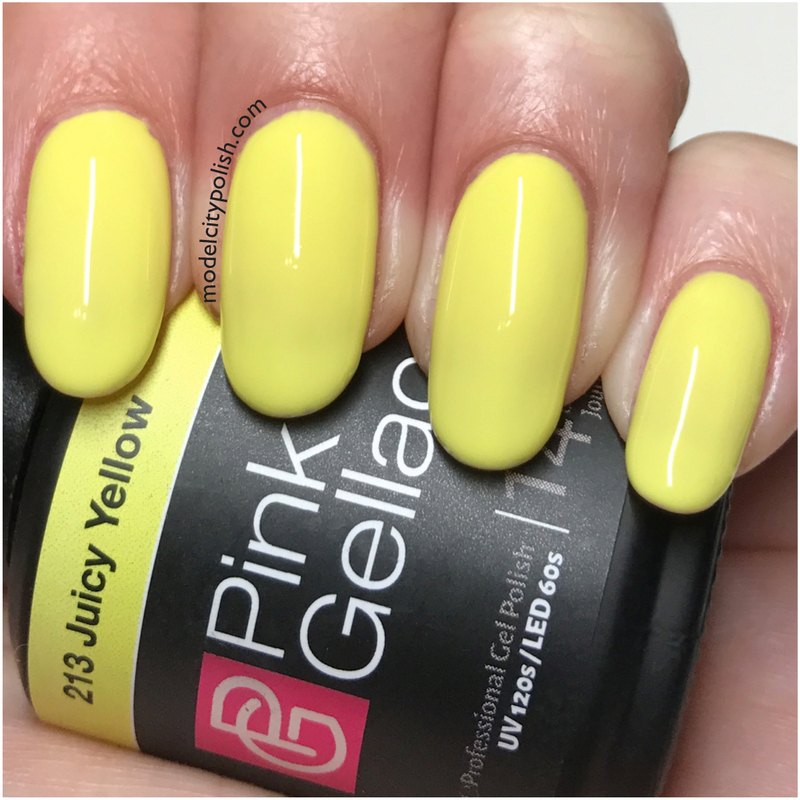 It’s a beautiful soft yellow with a yet bright feel. Application and formula were all fabulous. 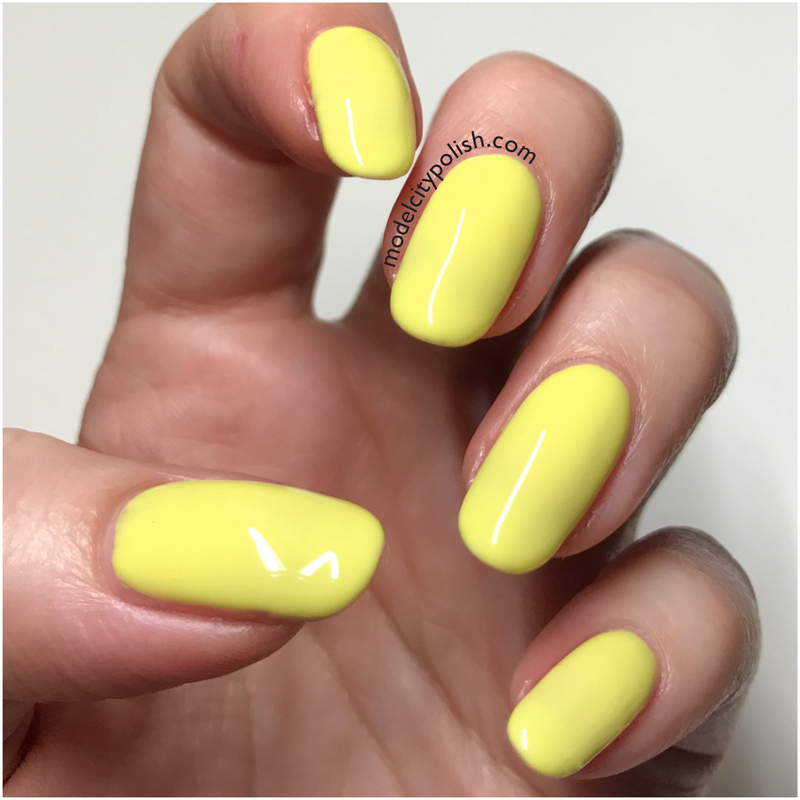 In my photos I am wearing three coats of Juicy Yellow and one coat of Ultra Shine Top Coat. 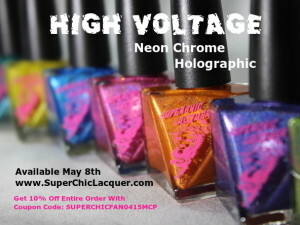 Now for one of my favorites from the Candy Couture Collection! 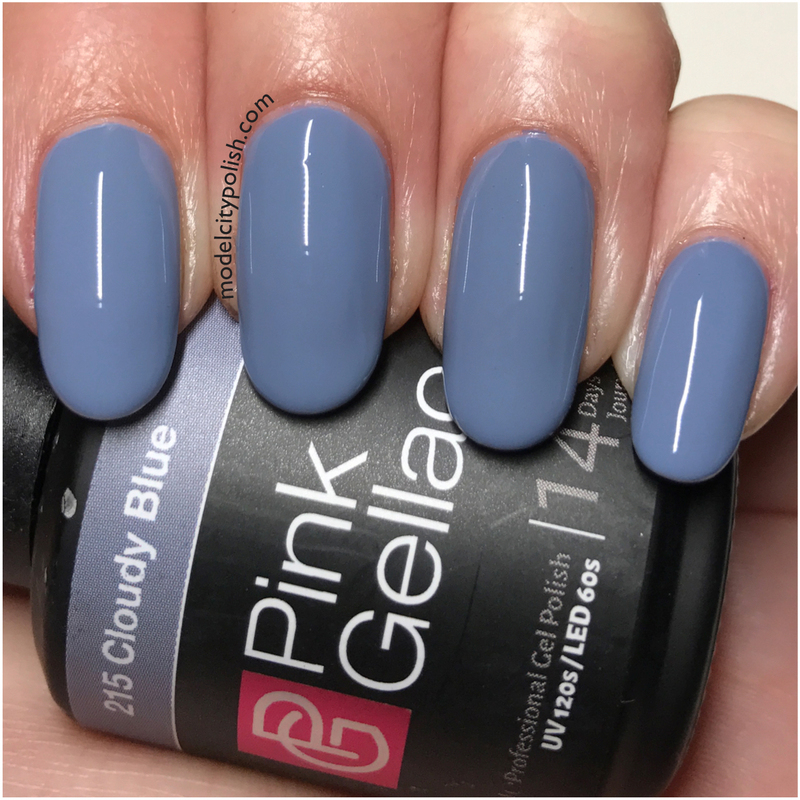 Cloudy Blue is an amazing smokey blue creme with purple undertones. Application and formula were perfect. 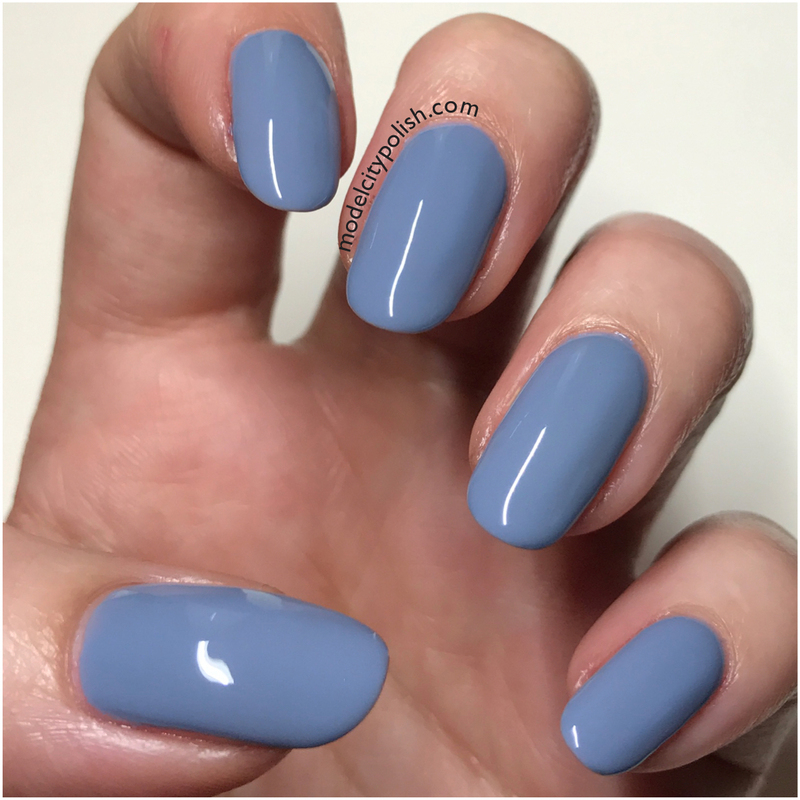 In my photos I am wearing two coats of Cloudy Blue and one coat of Ultra Shine Top Coat. Now for another beauty. 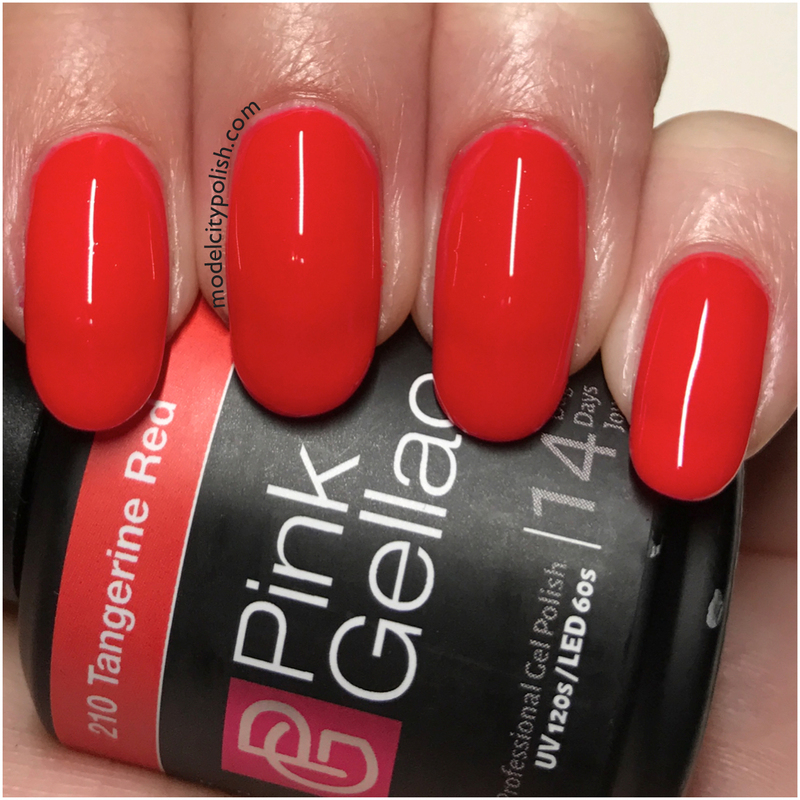 Tangerine Red is an insanely bright red orange creme that is sure to lift anyone’s spirit. Once again I have no issues to report. 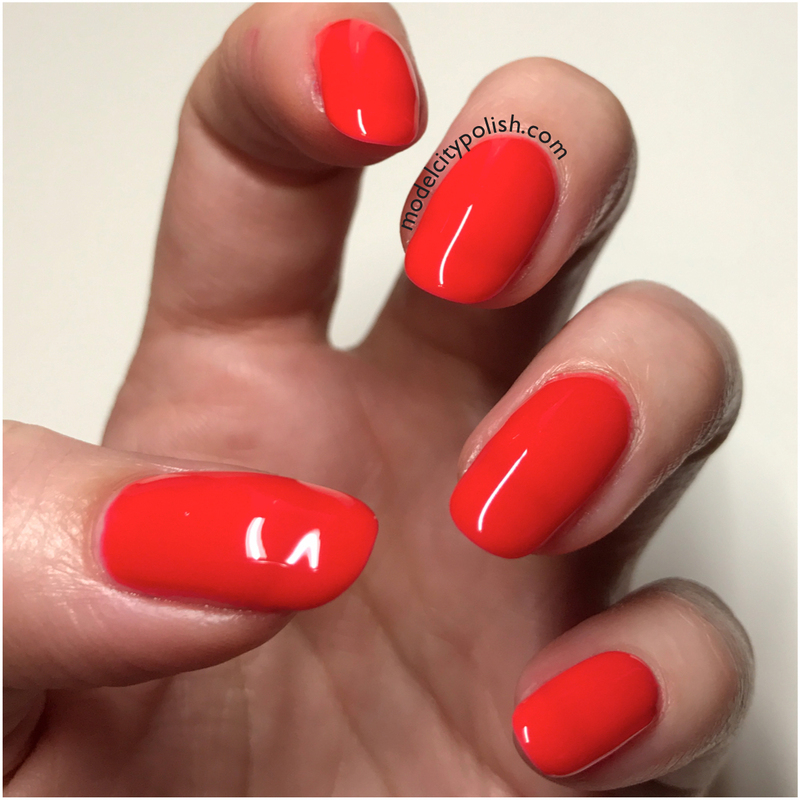 In my photos I am wearing three coats of Tangerine Red and one coat of Ultra Shine Top Coat. Now for another shimmer. 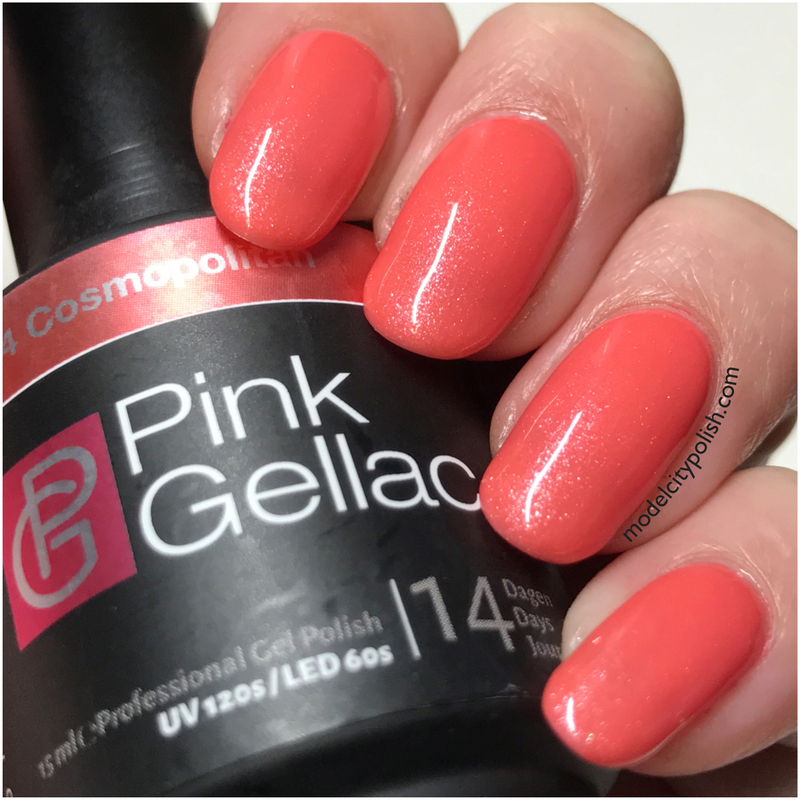 Cosmopolitan is lovely coral with a golden shimmer that is perfect anytime of year for any occasion. No issues to report, flawless as always with Pink Gellac. 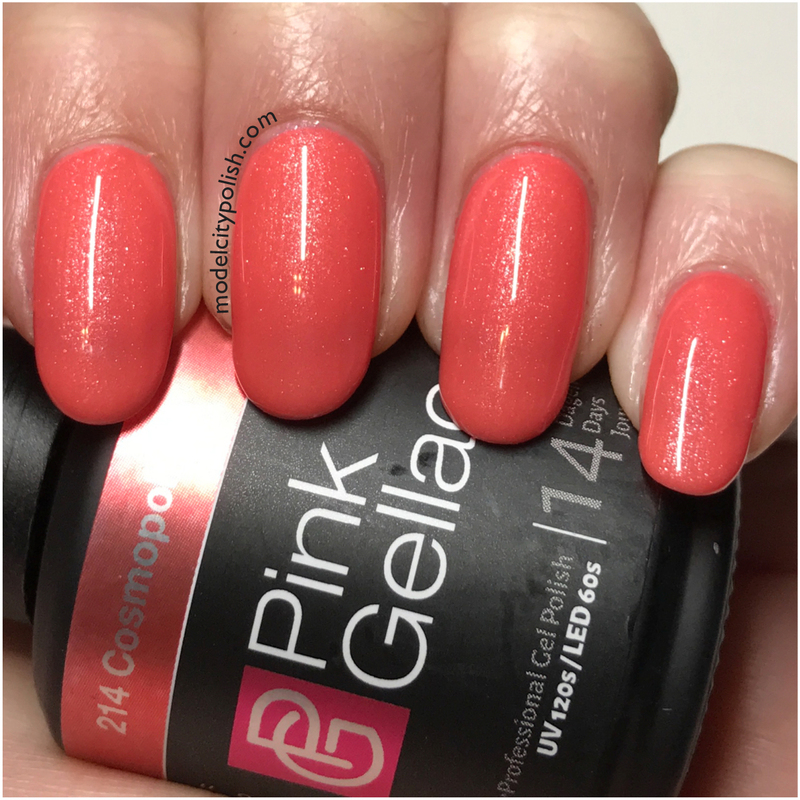 In my photos I am wearing three coats of Cosmopolitan and one coat of Ultra Shine Top Coat. Now for my absolute favorite from the Candy Couture Collection. 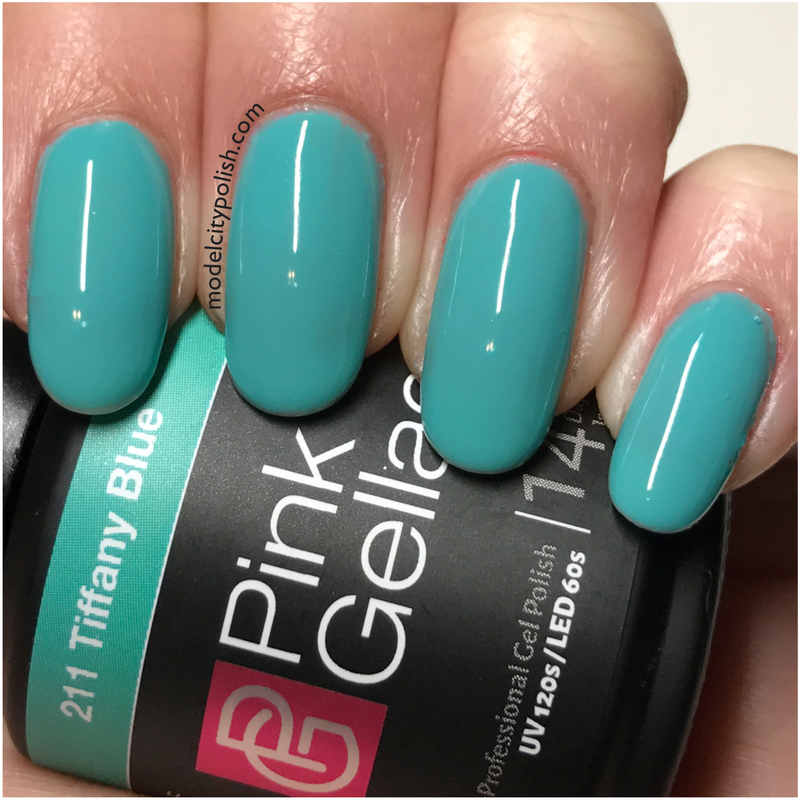 Tiffany Blue is a rich, creamy pastel teal that is perfectly named. 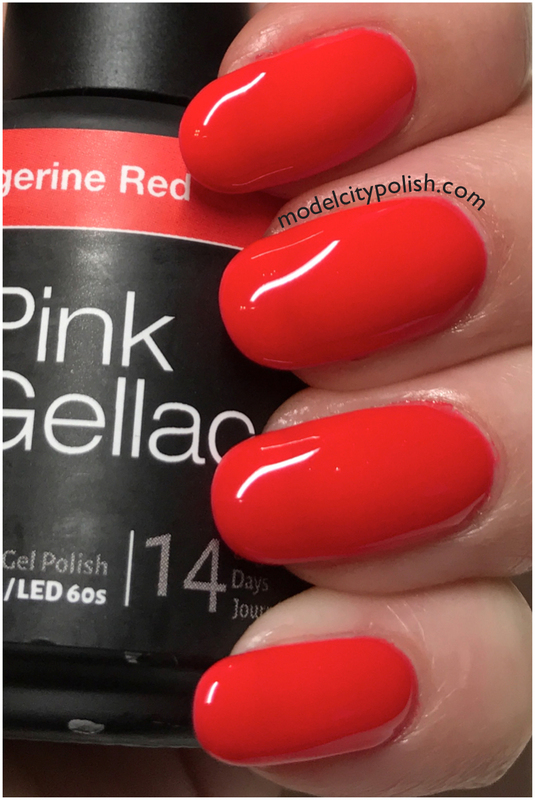 One problem I normally have with these shades is patchy application but thanks to the wonderful gel formula, this lacquer applied beautifully. 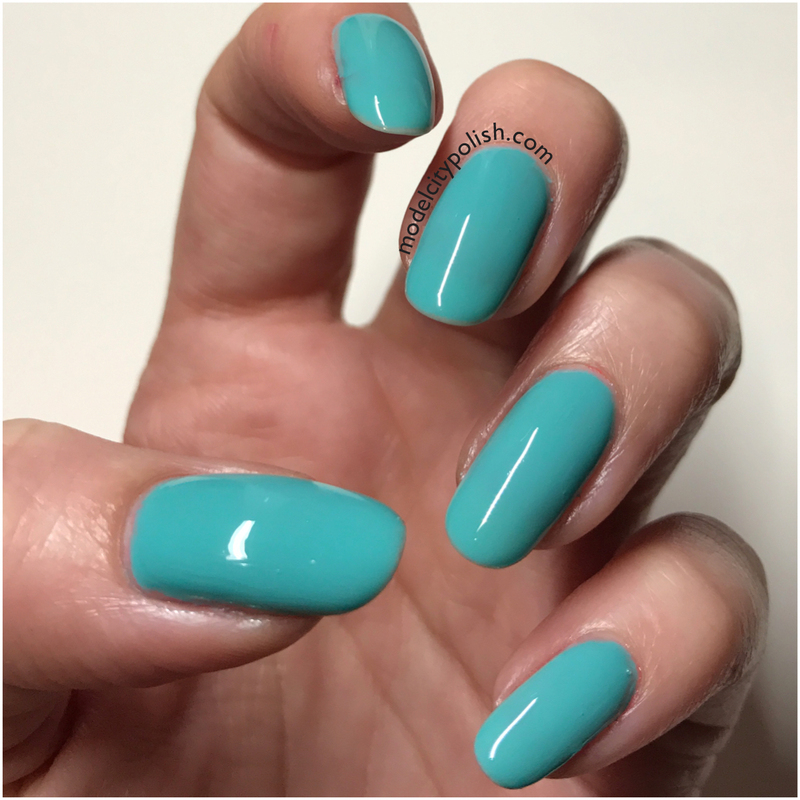 In my photos I am wearing three coats of Tiffany Blue and one coat of Ultra Shine Top Coat. 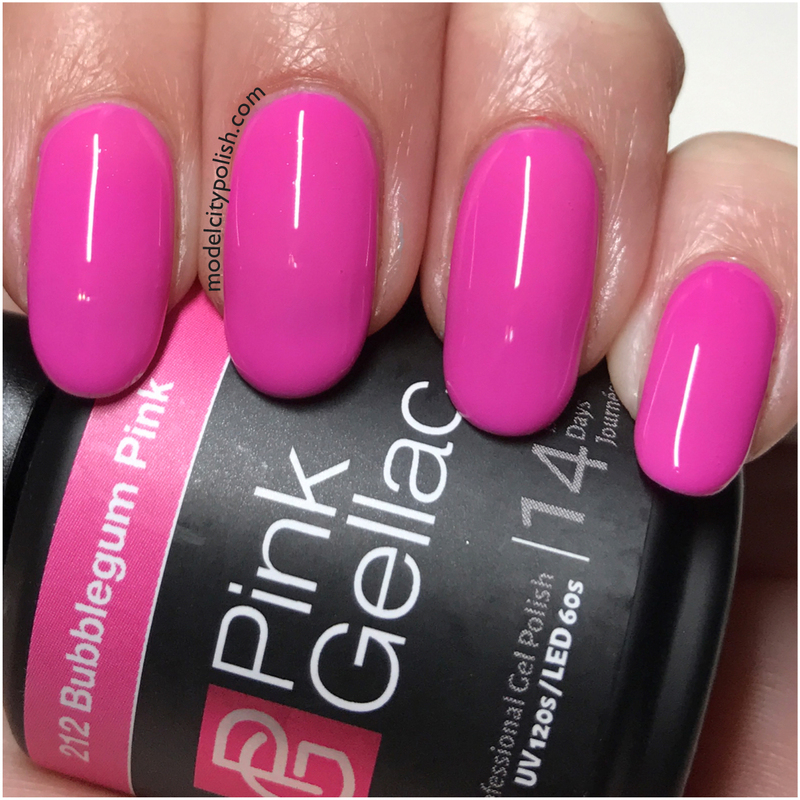 Lastly we have Bubblegum Pink, another favorite from the collection. This shade was way brighter than I expect and see wearing it A LOT!!!! Application and formula were perfection. 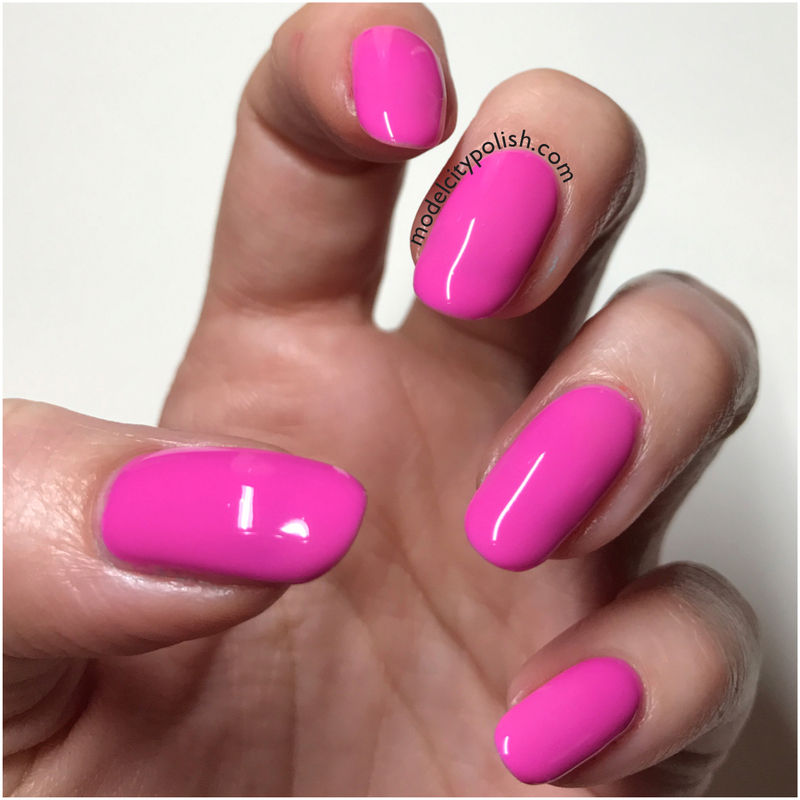 In my photos I am wearing three coats of Bubblegum Pink and one coat of Ultra Shine Top Coat. 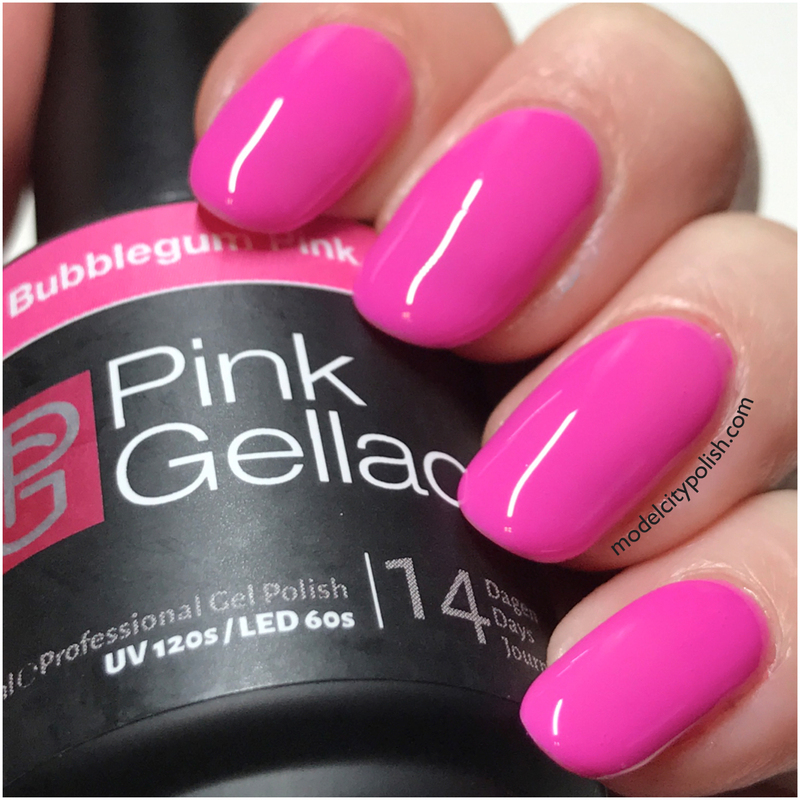 So what do you guys think of the new Candy Couture Collection from Pink Gellac? Isn’t it fabulous and just perfect for Spring? 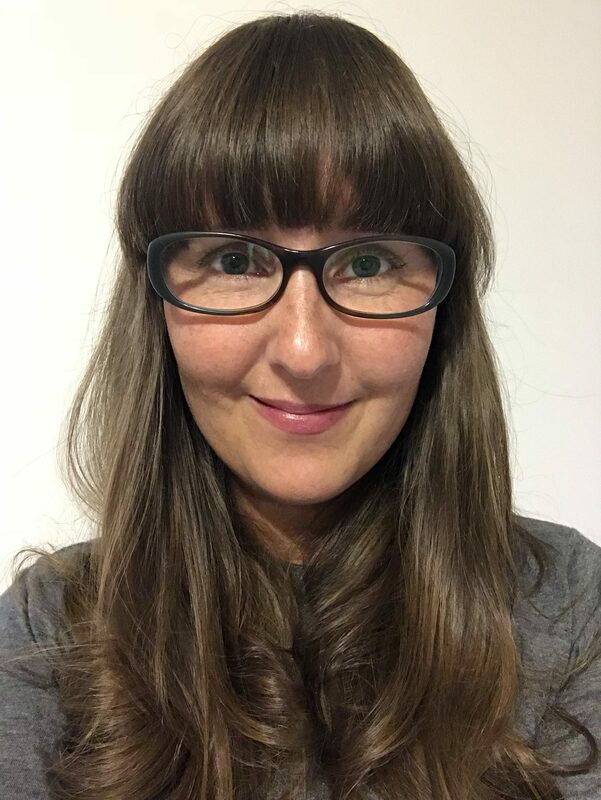 I am in love with the whole collection and certainly see myself getting lots of use out of them. 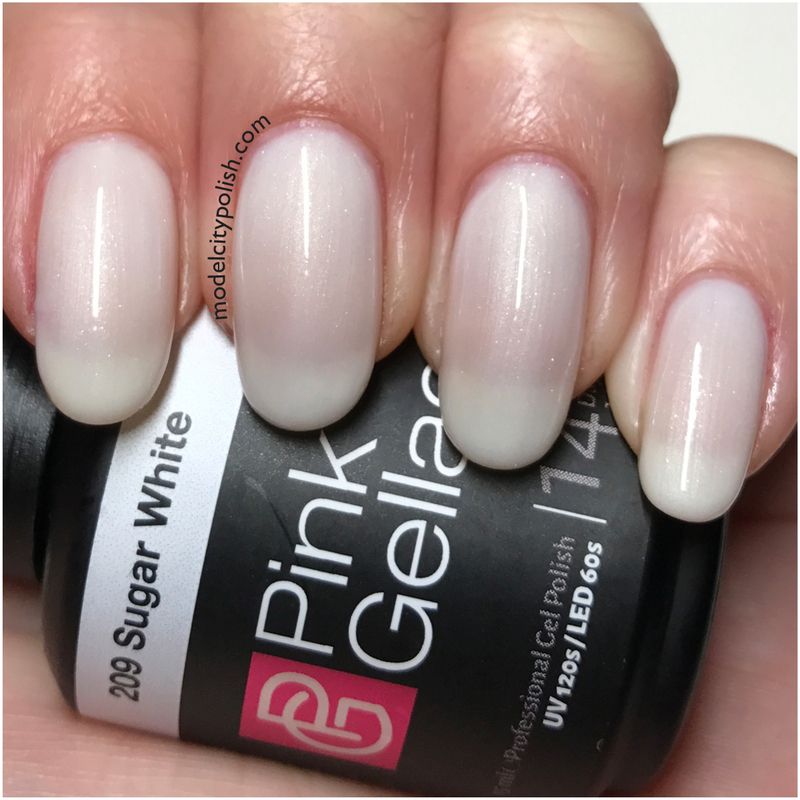 Add in the bonus of the wonderful gel formula, my manis will last. 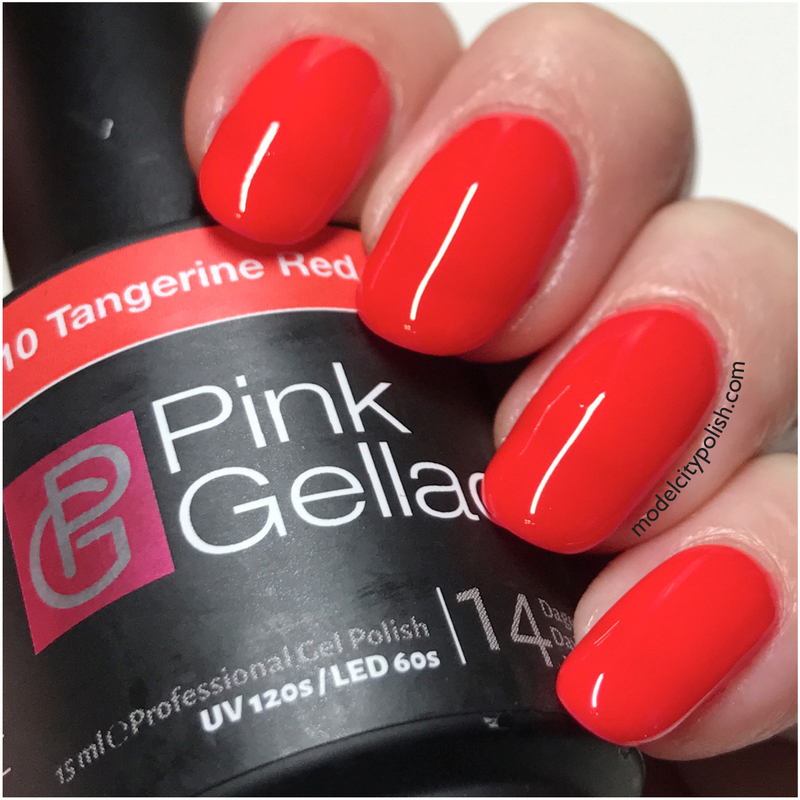 Please take a moment to check out the new Candy Couture Collection by Pink Gellac along with tons of other great gel lacquers. Also be sure to give them a follow on Facebook and Instagram for up to date info. Thank you so much for stopping by today and I will see you all again soon. I really love the shimmers and especially Cosmopolitan! 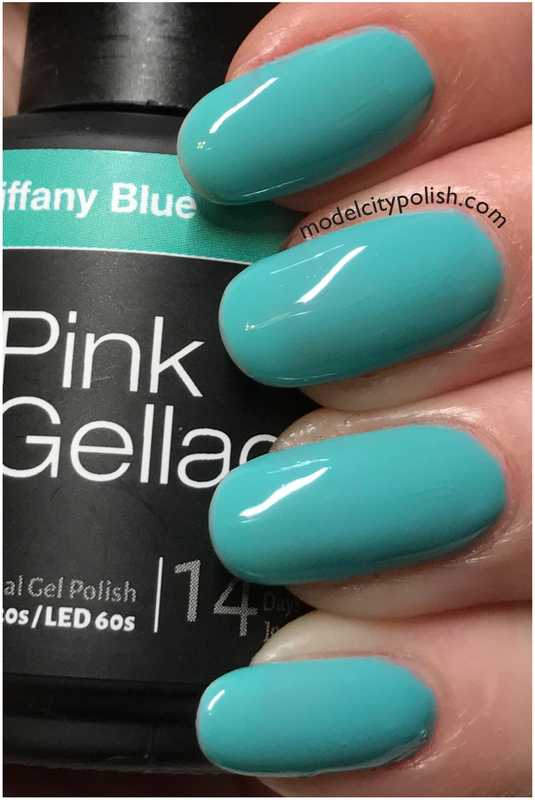 They did a great job with color selection for the spring collection! 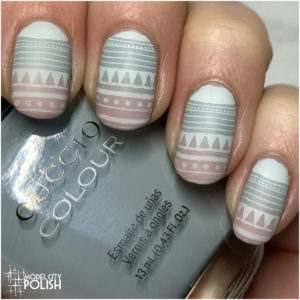 These are great springy shades! I’m partial to Cosmopolitan, but then I’m a sucker for corals in general. I’m glad to hear the formula of it is nice! Ugh I’m loving these colors!! So summery. I love cosmopolitan! 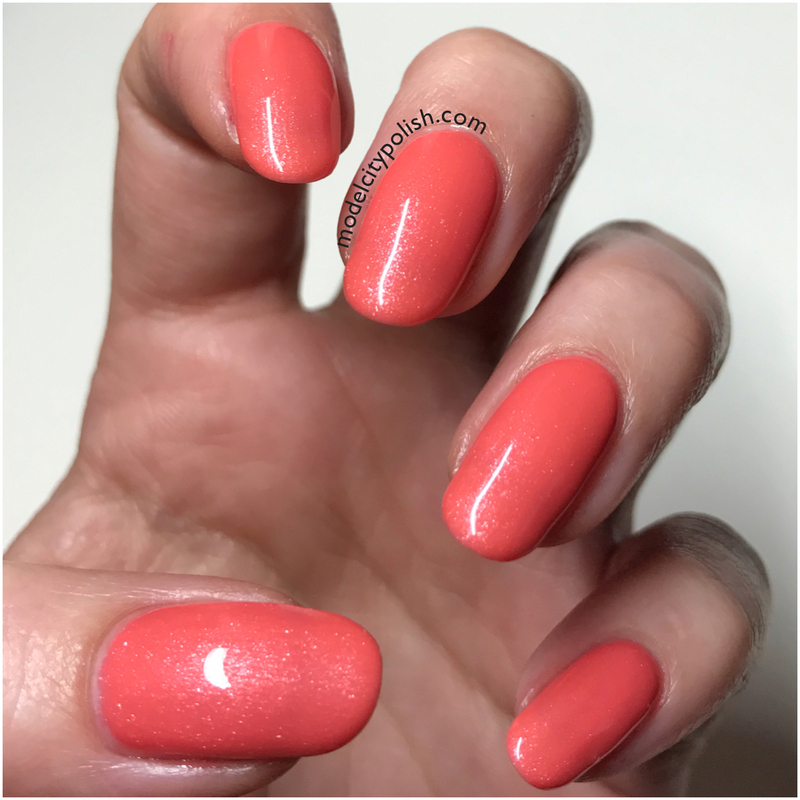 Coral shimmers are my weakness. I love how Cloudy Blue looks. That kind of dusty blue isn’t very common. 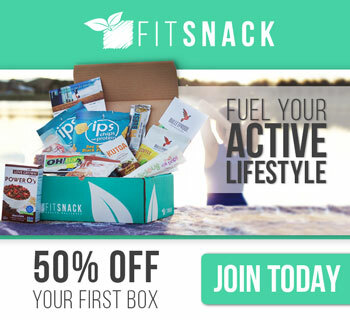 All great for spring. 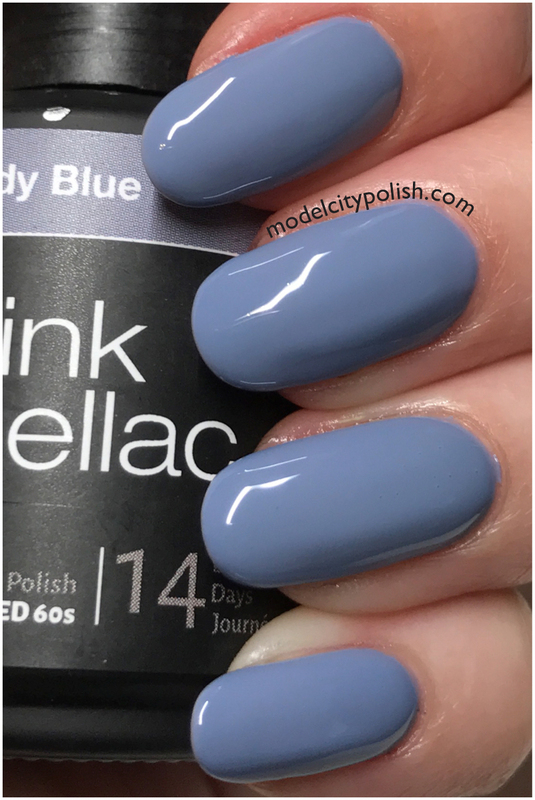 I’m looking forward to wearing some spring colors! 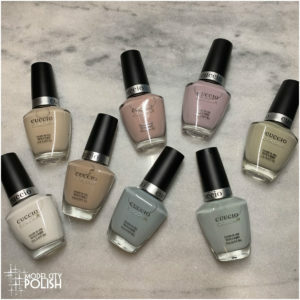 These are such gorgeous shades… all of them perfect for Spring and Summer. Those are all lovely. I like that sheer one and Cosmopolitan. I dig that cloudy blue and bubblegum pink!